Located in Norfolk, Sandringham House is one of two personal and private residences owned by The Royal Family, unlike the Royal palaces that belong to the Crown. Set within the heart of the 8,000 hectare Sandringham Estate, Sandringham house first came under Royal ownership in 1862 as a country residence for The Prince of Wales, the future King Edward VII. 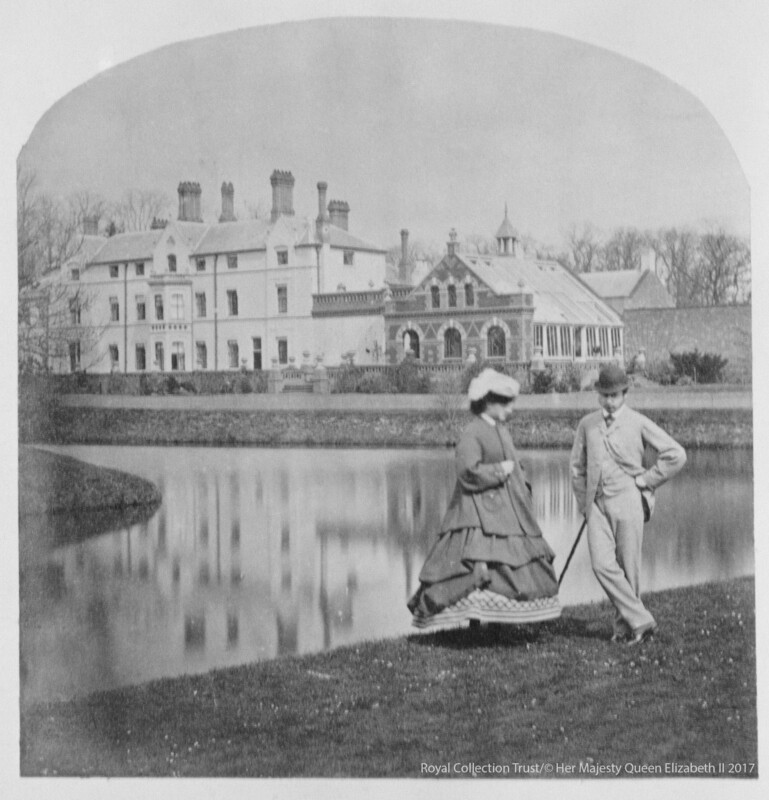 The Prince's official and principal residence was Malborough House in London, but it was felt that he should also have a private house well away from the city, so that he could enjoy the benefits of a country life. The house at Sandringham that The Prince bought was built in the second half of the eighteenth century by Cornish Henley, whose wife's family had owned for a hundred years. Henley had earlier demolished an existing house, and in its place he erected a plain but comfortable Georgian structure with a stucco exterior, slate roof and small gables on either front. The Prince was married to Princess Alexandra of Denmark (later Queen Alexandra) on 10 March 1863 and they moved into Sandringham soon after. As The Prince's family grew, and the demands for hospitality increased, more space was needed and a new building was commissioned. Designed by A.J. Humbert in the Jacobean Style, with brick walls, stone dressings and gabled roofs, it was completed in 1870. The only part of the old house to survive was the conservatory, which was converted into a billiard room. 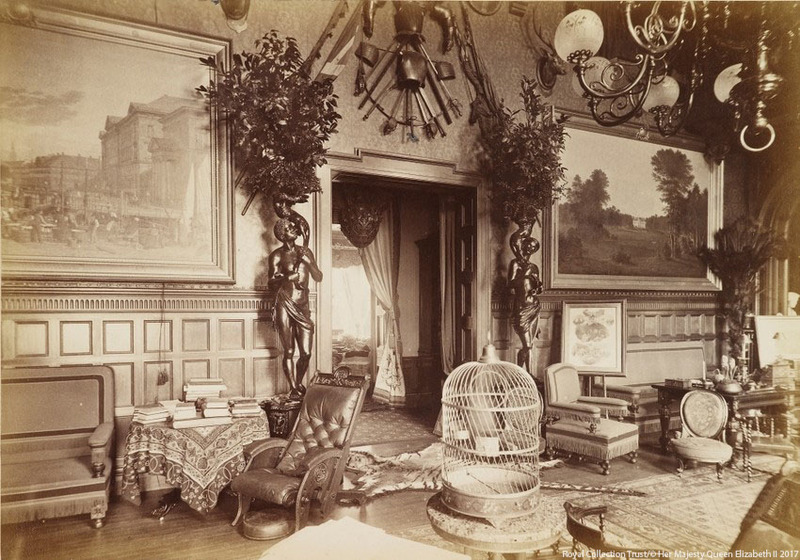 In 1881 The Prince added a ballroom and in 1887 a conservatory designed by Colonel R.W. Edis, a Norfolk architect. 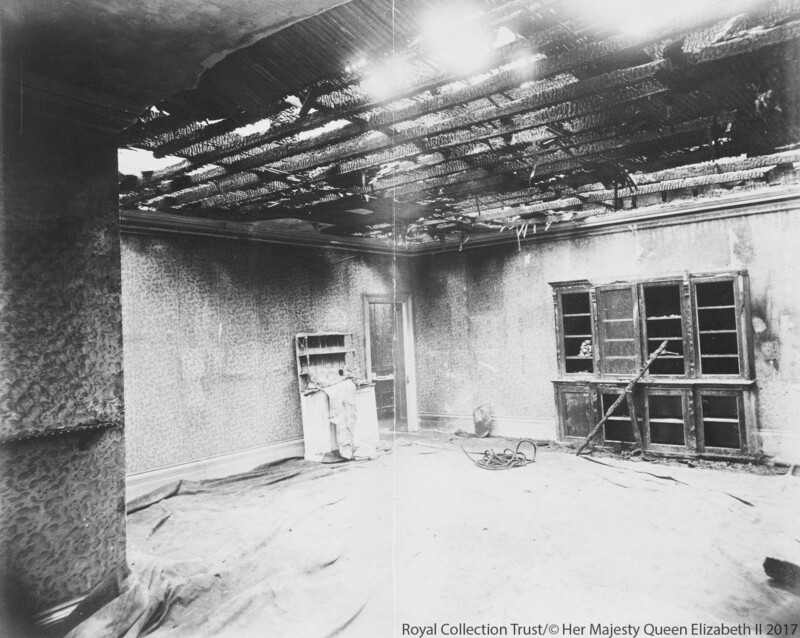 In November 1891, when the house was being prepared for the celebration of The Prince's fiftieth birthday, fire broke out. Fourteen rooms on the upper storeys were completely destroyed, others damaged and the lower storeys affected by water. After the fire, the house was repaired and a new suite of bedrooms, designed by Colonel Edis were added. 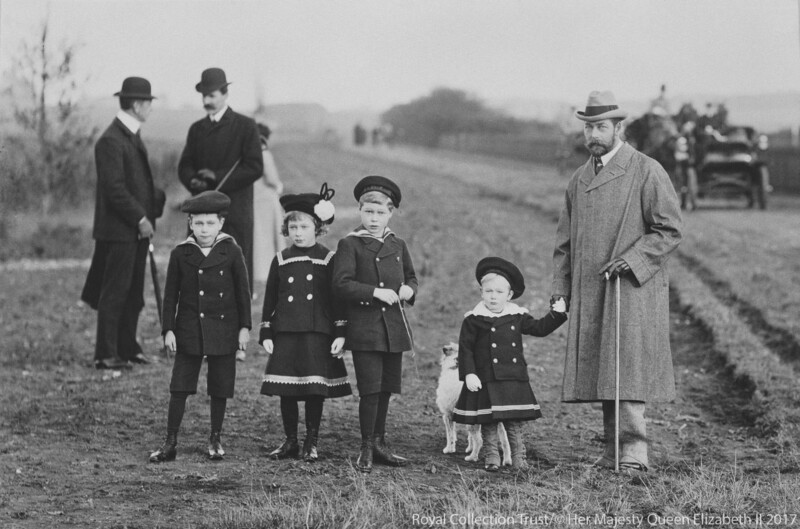 After the death of Edward VII in 1910 the house passed to his son, King George V who wrote 'Dear old Sandringham, the place I love better than anywhere else in the world'. The Royal Family have since continued to enjoy spending time at Sandringham and looking after its estate and 24 hectare garden. The Queen's father, King George VI, wrote 'I have always been so happy here and I love the place'. 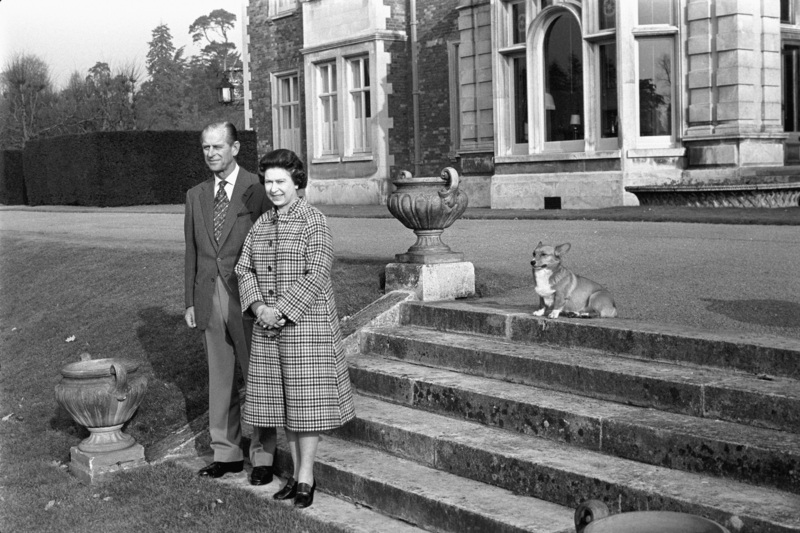 The Queen inherited Sandringham from her father in 1952 and The Duke of Edinburgh took overall responsibility for its management. One of His Royal Highness's principles has been to maintain the estate for future generations, so conservation has always been an important part of the Estate's management practises. Currently over 200 people gain a living from the Estate, including farmers, foresters, gamekeepers and gardeners. The Queen usually celebrates Christmas at Sandringham, where she is joined by many members of The Royal Family who traditionally visit The Church of St. Mary Magdalene on the Sandringham Estate. The gardens Sandringham were first opened to the public by King Edward VII in 1908 and have been extensively altered since 1862. In the 1870s the original lake to the west of the House was drained, filled in and planted with elaborate formal parterres. In 1912, a charming summerhouse called The Nest was built for Queen Alexandra on the rockery overlooking the Lake and the Dell. 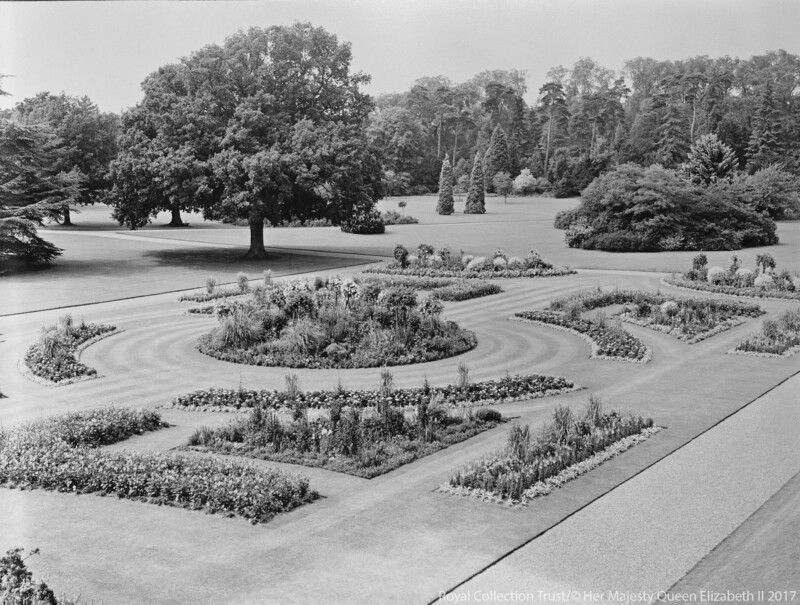 During the reign of King George VI many changes to the garden was made. The labour-intensive parterres and borders, dug up during the Second World War, were replaced by lawns and Sir Geoffrey Jellicoe was employed to create the North Garden. In the 1960s The Queen invited Sir Eric Savill, famous for his gardens at Windsor, to re-landscape the Woodland Walk and the Bog Gardens. The Royal Stud was established at Sandringham in 1886 by Edward, Prince of Wales and soon became highly influential in the development of the national thoroughbred bloodstock. The mare Perdita II produced two of racing's legends: Persimmon won the St Leger and the Derby in 1896, and Diamond Jubilee won the 1900 Triple Crown. Find out more about visiting the Sandringham Estate here.